Tanzania is home to many exciting game parks, and there are good reasons why this beautiful country is gaining more and more prominence in the East African tourism sector. 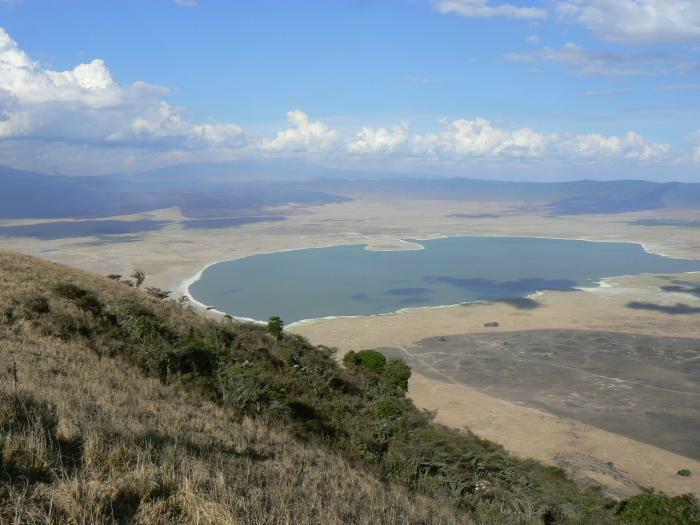 The main attractions are undoubtedly the Serengeti National Park with the neighboring Ngorongoro Crater area, awarded UNESCO World Heritage Site status in 1979. When Serengeti National Park was founded, the indigenous Maasai population was relocated into Ngorongoro crater, and to date, it is the only conservation area, where human habitation and wildlife still co-exist. Founded in 1976 it is the only multipurpose conservation area. However, recent talks have suggested that the Maasai be resettled once more. 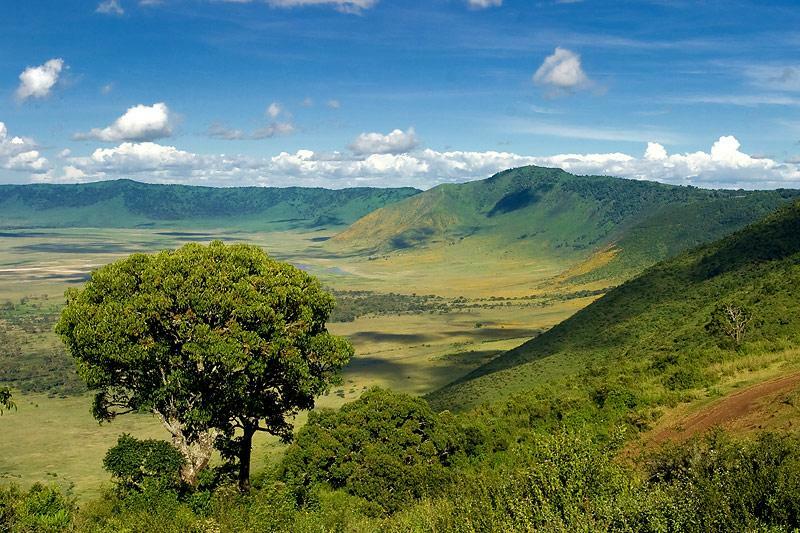 Ngorongoro is the world’s largest, un-flooded volcanic caldera, with an almost perfectly circled crater wall, more than 12 miles wide and covered with flat green and almost treeless grass plains. The central and seasonal salt lake and the Ngoitokitok Spring in the east are a cruising area for hippopotamus, elephants, and lions. In the southwestern part of the crater, a grove of holly fig trees is found in the Lerai forest of acacia trees, where muscular baboons and clownish vervet monkeys leap from branch to branch. The Ngorongoro Crater Lodge is located on the rim of the Ngorongoro Crater in Tanzania. The lodge is dramatically decorated with a mixture of Masaai ethnicity and chateau opulence. The lodge has won numerous awards and is one of the most luxurious safari lodges in the entire Ngorongoro Crater. The spectacular and almost perfect circle of the crater walls, provide a haven to a multitude of species with a residency of around 20,000 large animals at any time of the year. The “Big Five” (elephant, rhino, lion, leopard, and buffalo) are among the craters residents. All members of the antelope and gazelle family grace the grasslands, as do the ever picturesque zebras. A remaining population of only 17 black rhino can still be seen although their existence now hangs in the balance due to poaching. 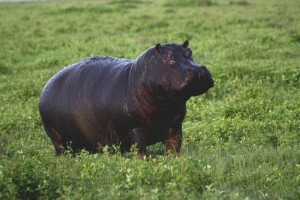 Water-holes are home to numerous wallowing hippos, and powerful buffalo clans roam the land. Elephants here exhibit special characteristics. The crater is a ‘males only’ territory, with a bunch of huge bulls, as old as the hills, sporting impressive tusks. Females and their offspring prefer the forested area outside the crater rim. Graceful long-necked giraffes are scarce in the plains. The descent into the crater is difficult for their long-legged, long-necked and relatively short body shape. Also, their favorite food source of acacia trees is scarce. Apart from the ever-present wild animal population, it’s a common picture to see red dressed Maasai warriors, descending into the crater in the early morning hours. Accompanied by the jingle of cowbells they take their hump necked cows downwards into the caldera to enjoy grazing for the day. During the wet season, the central soda lake is home to vast numbers of pink flamingos, but 500 more avian species inhabit the caldera. These include Ibis, storks, bustards, crowned cranes, hawks and ostriches, to name a few. At the end of the fifties, the world famous Maasai, a Nilotic people of semi-nomadic pastoralists were resettled into this expanse from the Serengeti. Dressed in red ‘shukas’ with artfully plaited long red hair, they roam the area in search of fresh green grass for their cattle herds. At the same time, they keep an eye out for medicinal plants which are used by the powerful Laibon, the old wise men and shamans of the Maasai. It is not rare to see zebras or antelopes mingling with the cattle as they seek protection from predators, who wisely avoid coming close to the Maasai.